It can be a particular problem in a zero waste lifestyle. Those sustainable scrub brushes look beautiful in an Instagram flat lay, but honestly, how many of y’all are actually putting those things in a composter when they get gross? Guess what? Mother Nature’s got you covered. Introducing the loofah gourd: nature’s answer to your zero waste kitchen and bathroom quandaries! 1. The loofah is a plastic-free skin exfoliator. I date a man who loves his exfoliating products. As mentioned in the Baking Soda Hair Rinse post, I can be trash heap of a woman and couldn’t care less about what most deem a regular beauty routine, and my delicate epidermis seems to have been taking care of itself just fine with some soap and water these last 32 years, without me sloughing off skin cells for it on a daily basis with a giant chunk of plastic netting. BUT many of you out there, like my lovely boyfriend, love exfoliating. The loofah gourd is unique in that it has an inner fibrous skeleton when the gourd is matured that makes an excellent exfoliating product when dried and sold. 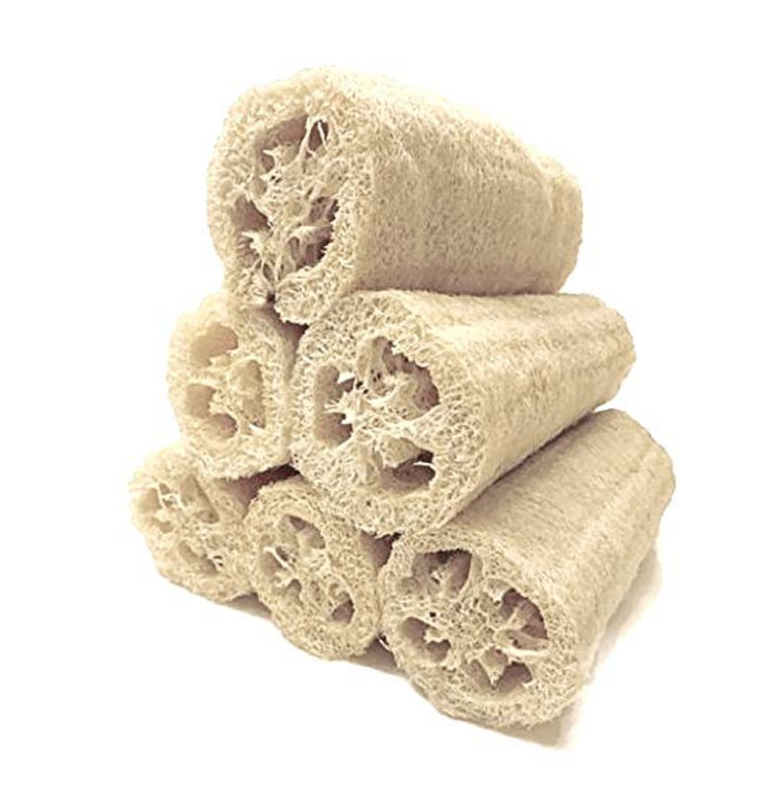 The advantage, in my opinion, is that you’re more likely to throw out (and by that I mean hopefully compost) and replace a natural fiber loofah on time. Both plastic and natural loofahs will breed bacteria over time, but a natural loofah will begin to visibly age after several weeks. And hey, Fox News even says they’re healthier for your skin. 2. Loofahs (or luffas) are vegetables. Somewhere between a cross between a cucumber and zucchini, the flesh of the loofah gourd is actually edible and quite tasty. I unknowingly ate several in Costa Rica, actually! Not sure where to start? Here’s a chicken and loofah gourd stir-fry recipe from Epicurious. If you decide to grow your own, you can use all parts of this vegetable. 3. Loofahs are a vegan sponge option. Lest we forget, sea sponges are actually animals. If you’re considering going vegan, switching to a loofah gourd is an easy way to eliminate an animal product from your life. 4. Loofah gourds are durable kitchen scrubbers. I blogged about switching from disposable synthetic sponges, which not only create trash but also shed microfibers into the water system, to reusable cloth sponges. Not only are these sponges made from natural, biodegradable fabric, they’re washable. I love them. 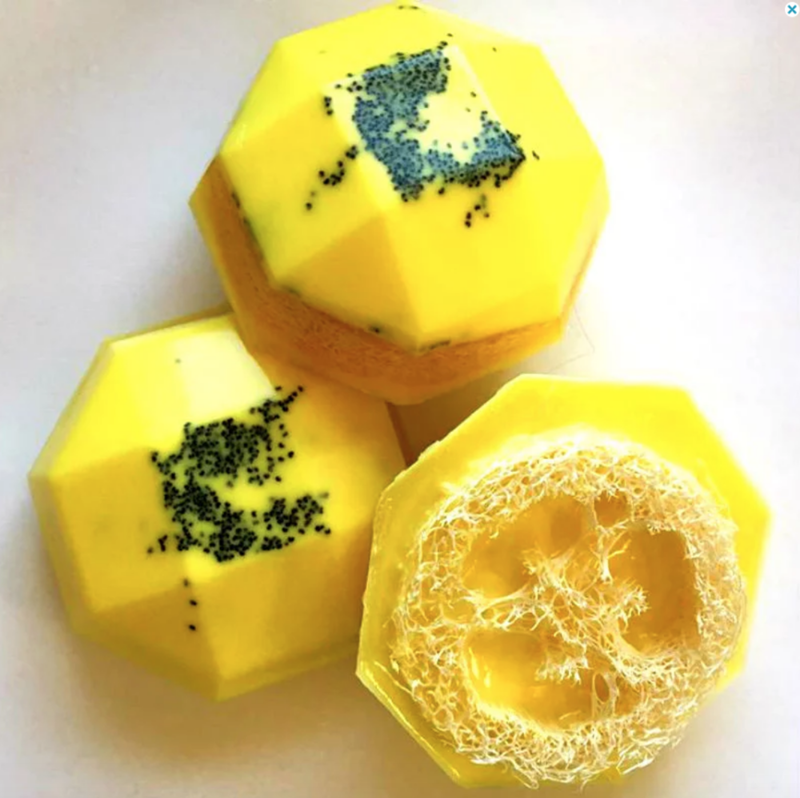 There are still times when I burn the crap out of something and don’t want to risk tearing up my UnSponges though, and that’s where the loofah scrubber comes in! Burnt on egg or charred bits of lasagna superglued to your pan? Hack off a round of your loofah gourd (or you can get fancy and buy a pre-cut loofah scrubber), roll up your sleeves, and throw in some elbow grease. You’ve got this. 5. You can backyard compost your loofah gourd sponge. This is important to me. Like most aspiring zero wasters, I love a good flat lay with pretty bamboo scrub brushes and mason jars. But what are you doing with that brush when it’s getting gross? Throwing it in the trash? Things don’t really biodegrade in the anaerobic environment of the landfill, so that’s not much better than a synthetic brush in my mind. With my loofah scrubbers, however, I can toss them right in my backyard composter… but ONLY do this if you’re using eco-friendly cleaners. Not sure where to start? Scented vinegars can make for fun and easy eco-friendly cleaning solutions, and I did a post on 5 DIY Scented Vinegar Cleaners. 6. Loofahs are an easy, renewable resource. Unlike brushes with wooden handles (not bamboo) or plastic loofahs (which are petroleum based), loofahs are just gourds! …And really freakishly large, long gourds, at that. They also don’t require much processing at all (other than drying). 7. Loofahs can be grown in many countries throughout the world, including here in the Southern US. Loofahs are grown in India, Vietnam, China, Japan, in countries throughout Central America, and the Southeastern United States, from Florida all the way up to Knoxville, apparently! 8. Loofahs have enormous industrial potential. Because of their unique fibrous skeleton, loofahs offer potential as a durable eco-friendly material. Elsa Zaldivar won a Rolex Award for her innovative design to use loofah fibers with recycled plastics to build affordable housing panels, but the project hit some snags. At the last update on her concept, Zaldivar was experimenting with mixing plaster with shredded loofah sponges and cassava scraps to apply to existing wood or bamboo houses in rural Paraguay to provide substantial thermal and acoustic insulation. Who knew loofahs were such a powerhouse?! You can easily buy loofahs online but those living in the Southeastern US might consider growing their own. Vegetable and zero waste scrubber in one veggie? What’s not to love!